Willivaldo Delgadillo grew up on the U.S.-Mexico border. A novelist, essayist, and translator, he is the author of three books of fiction, including Garabato (2014), his most recent novel. He has also published La virgen del barrio árabe (The Virgin of the Arab Quarter) (1997) and La muerte de la tatuadora (The Death of the Tattoo Artist) (2013). He is the coauthor of La mirada desenterrada: Juárez y El Paso vistos por el cine (1896–1916), a volume about the history of silent cinema on the border. 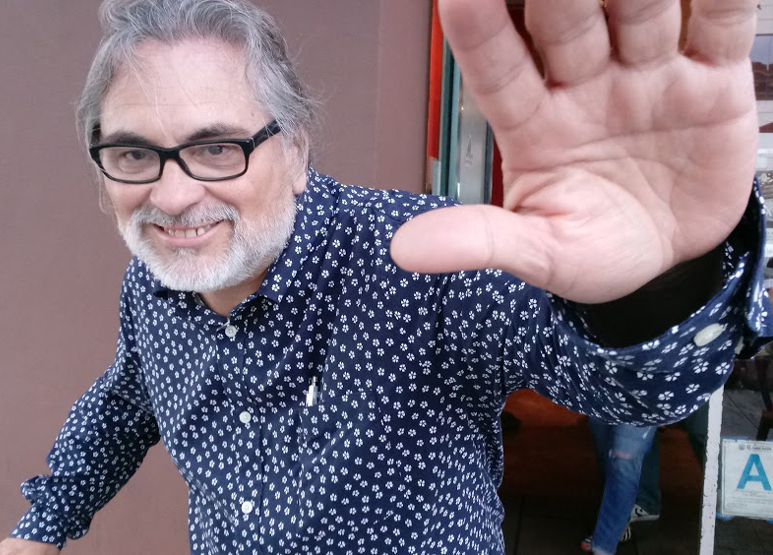 In the 1990s, he worked as a journalist in Ciudad Juárez and during the 2000s was involved in organizing political resistance against militarization. Delgadillo is currently a visiting professor at the University of Texas at El Paso where he teaches Mexican and Latin American literature. He contributes opinion pieces to the national newspaper La Jornada on politics, human rights, and border issues.